Nonwoven is used in healthcare products like wound absorbents, urine drainage bags, disposable products, and disposable cover sheets for beds. 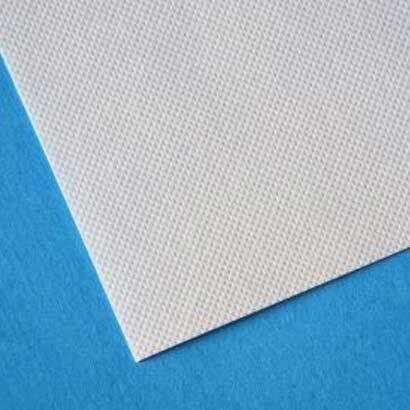 Nonwoven material for the healthcare sector is soft, breathable and can absorb, block or allow liquid to pass through. Because nonwoven is resistant to liquid, it is more durable than paper making it a great alternative in healthcare products. It is also both stronger and softer than paper products. Nonwoven materials like chemically bonded nonwoven and spunlace are soft and very good for products that have a surface layer in contact with the skin, like urine drainage bags. There is also a unique elastic spunbond that follows body movements that is used in disposable garments like underwear in the healthcare sector. Depending on what the needs are, there is a soft nonwoven material that either absorbs or allows moisture and liquid to permeate. Absorbing nonwoven can also be used in products in contact with the body because it absorbs moisture from the skin. Nonwoven is very flexible as a material, and the softer nonwoven materials used in healthcare products in contact with the skin are developed to be breathable and allow air to permeate. The healthcare sector has found a lot of smart and innovative ways to use nonwoven. They have really found ways to utilize the different properties of the material, like absorbent for wounds and other liquids – but also for disposable garments and sterile covers. We deliver different types of soft nonwoven materials for healthcare products with different absorbency levels and different moisture and air permeability levels. In addition to our range of nonwovens for various healthcare products listed below, we offer sterilization covers approved for hospital use. The sterilization covers are delivered as a finished product. The covers are available in different materials: water resistant and soft spunbond (SMS), stretchy crepe paper, or more cost-effective regular paper. We have soft spunbond what allows moisture to permeate. Spunbond does not absorb liquid, but is breathable. It can, however, block liquid in one direction. We deliver by the roll or the sheet in different sizes, thicknesses and colors, and with different properties. We also have a unique elastic spunbond in our range that is excellent for products like disposable garments. > Read more about spunbond and elastic spunbond.